Elections will be open from April 2 until May 1. Members will receive a voting link through their registered email. ​I am currently the Prek-12 School Librarian and the Library Director of the St. Paul Library. This is my 5th year in this position. Our library is a very unique and functions as both a public school library and a community library. I work closely with a Library Board that reports to the City Council and School Board and meet with them on a monthly basis. I love being able to serve both the public library patrons and our staff and students in St. Paul. We have added many new and exciting things to our library over the past 5 years and continue to try to keep up with library trends. I am excited to be the Grade 4-5 school librarian in Lexington, NE next year! I would love to continue working with the NSLA board so that I can continue to advocate for all school library programs. I would like to continue our work in the area of mentorship and get a strong program set up for our new librarians. I am very passionate about this project because I know that many of us are isolated in our positions within our districts. Having a mentor when starting out would be very beneficial. I would also like to see the NSLA continue to offer a variety of professional development activities via web and in person for the librarians throughout our state at a minimal cost. I look forward to serving the NSLA and all school librarians for years to come. I have been in my current position for 3 years in the Gross Catholic high school library. During my schooling at UNO, I was able to sub in 2 Omaha school districts and was able to observe in different libraries across town. I make it a point to attend the NLA/NSLA and NETA conferences when possible. I am an avid reader and have always enjoying being in libraries, in both public and school locations. Interest: It is my goal to connect with other librarians. Being the only Media Specialist in my building and not really being a part of a district, it's tough to connect with other librarians. I want to reach out to and be around others who share my passion for the library. I started a Catholic school librarians group 2 years ago and am happy to reach even further to connect with more librarians through NSLA. I am the media specialist at Aurora Public Schools - home of the Huskies! I have been a media specialist, collectively, for 10-years. In my initial position, I was an integration specialist at Barr Middle School (GIPS) for five-years, which included performing duties as a media specialist, a gifted educator, and a technology integrationist. For the past five-years, I have enjoyed serving the students and staff of Aurora Public Schools as the district’s media specialist. I am interested in serving on the NSLA board because school libraries are an important and vital part of any educational system. I am passionate about continuing to build and maintain my own school library, thus insuring it is fundamental to all the students and staff of Aurora Public Schools. Serving on the NSLA board would allow me to have a positive influence on other school librarians and their libraries across the state. ​I have been the School Librarian at Palmer Public School for the past ten years. In those ten years, the library has been transformed from just a place to store books to a place where students relish interacting with books. The library has become the hub of the school and has much activity throughout the day. A reading culture has been created in my school over the past ten years. I teach library classes for PreK - 6 grades students, and I love that I am able to help them build their library skills. I am interested in serving on the NSLA Board to support school librarians across the state. I also want to learn more about what I can do to help librarians be more influential in their schools. School libraries are important to the culture of a school. This should be the hub of the school, where students can read, create, investigate, and learn. Staff members also can find a teaching partner and information specialist in their school librarian. As a member of the NSLA Board, I will encourage and support the continued advancement of school librarians. ​I am the Coordinator of Library Services for the Lincoln Public Schools. I opened the Schoo Middle School Library in Lincoln, NE where I served as librarian for three years with a focus on collaboration and inquiry. After leaving the middle school library, I served as an elementary librarian for six years where my focus was on technology integration, literacy, and library skills. I lead the Lincoln Public Schools MOSAIC project, which has curated and promoted diverse books for over thirty years. My work with the MOSAIC multicultural collection was recently recognized in the School Library Journal article, "Can Diverse Books Save Us?" and the American School Board Journal article, "A Novel Idea." I graduated with a Bachelor of Arts degree in Biology from William Jewell College and a Master of Science degree in Special Education from Truman State University. I earned my school library endorsement from the University of Nebraska in Omaha. 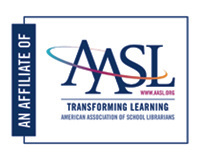 I am a member of the American Association of School Librarians and serve on the Southeast Library System board. 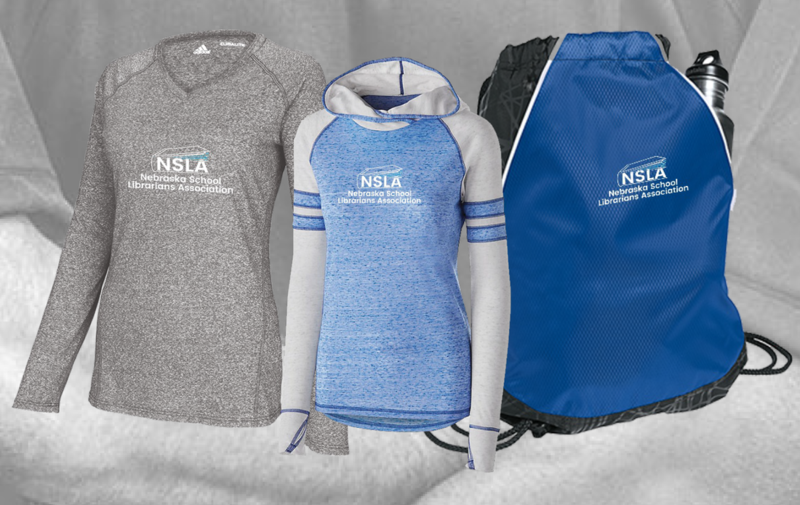 I have experienced many benefits as an NSLA member, and I would like to give back to my professional organization by connecting with librarians across the state to provide the support, programs, and services they need to successfully teach students. ​I have been working as a PK-12 School Librarian since 2004 at Hay Springs Public School. Prior to this I was a classroom teacher, substitute teacher, and stay at home Mom. I am a Sole Librarian working part time, so I do it all. I have consolidated three libraries into one, worked through wall construction, and painting, and moving from a physical to an online catalog. As a librarian I try to find a good book for every student. We learn to locate resources, cite sources, share our information and projects with others. I don't have a MakerSpace, but the library includes maker activities, from coloring and puzzles to robots and circuitry. I have served on the Western Library System board and the NSLA board. I participate in our ESU Librarians Zoom meetings and #mwlibchat when I can. I would like to serve on the NSLA board again because I see the learning opportunities that have been developed over the past several years and want to actively support them. I feel I can bring a unique voice to the organization being a sole librarian in the western Panhandle. Need a quick way to see the upcoming professional development events? Access the calendar here. Need information on job openings in Nebraska? Check out the state website.